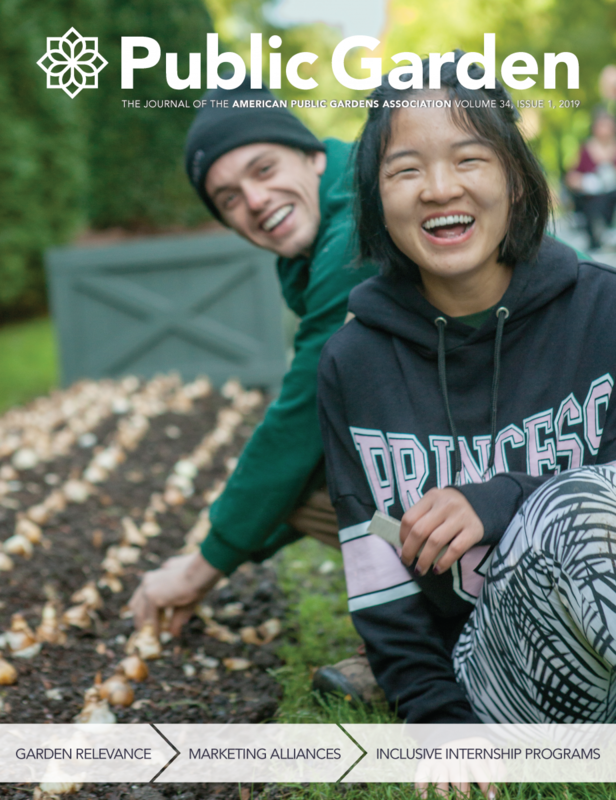 Public Garden, the magazine of the American Public Gardens Association, is THE magazine for professionals in the public garden industry, offering current, engaging content devoted to the world of botanic gardens, arboreta and a large variety of other horticultural institutions. Each year, Public Garden connects with more than 8,800 industry professionals through print and digital issues. The magazine is published quarterly in May, August, November, and February. All members of the American Public Gardens Association receive a free subscription to the magazine. Subscriptions are also available to the public for a moderate fee. Public Garden offers a variety of opportunities to connect with American Public Gardens Association members and other industry professionals, including advertising, corporate memberships, and sponsorships. We welcome and encourage suggestions and submissions for editorial content that furthers our vision of making public gardens indispensable. View our 2019 Editorial Calendar.